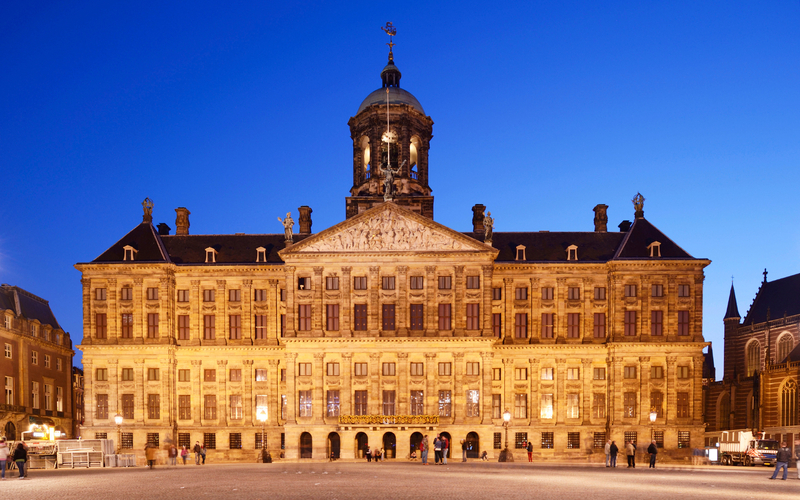 Amsterdam, the capital of the Kingdom of the Netherlands, is one of the most popular tourist destinations in Europe. 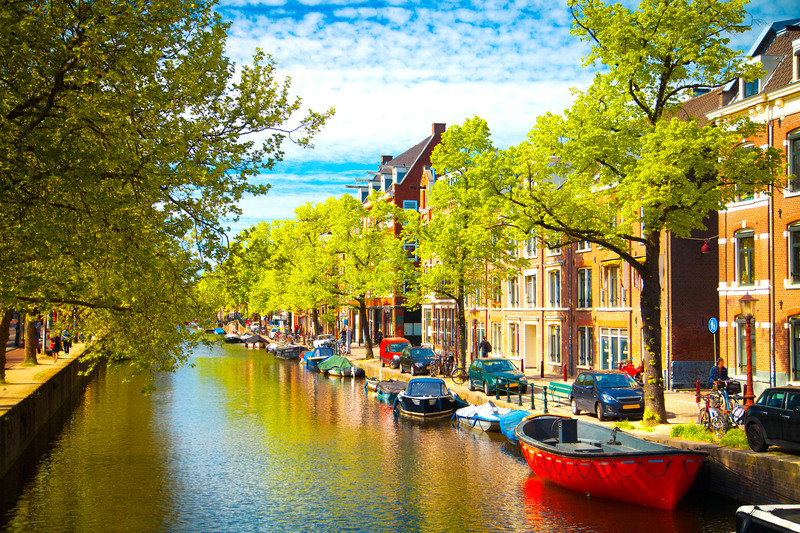 Amsterdam is located in the western Netherlands, in the province of North Holland. 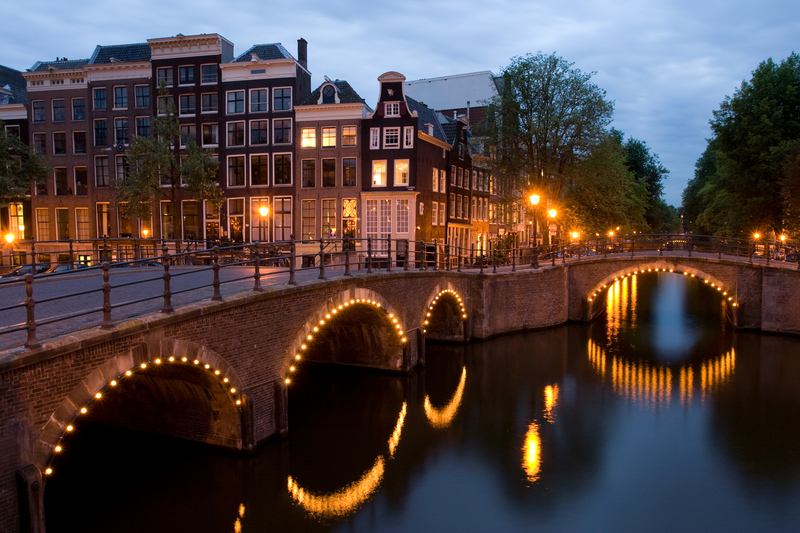 The river Amstel ends in the city centre and connects to a large number of canals. 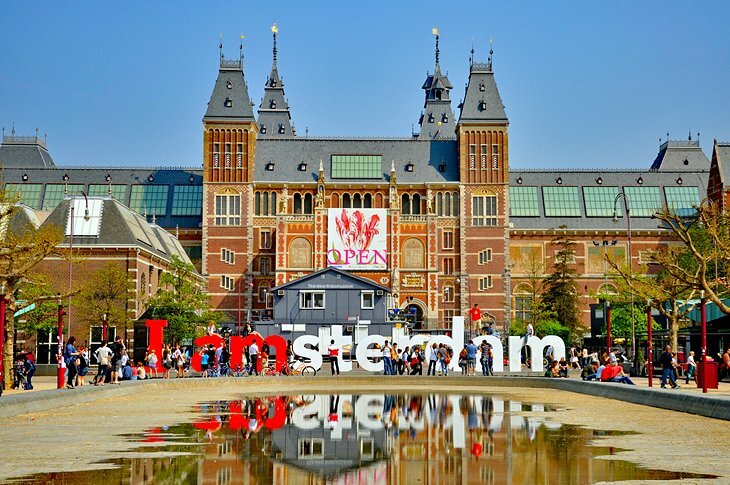 With its universities, academies, and research institutes, along with more than 40 museums, numerous theaters, and entertainment venues, Amsterdam is the country's leading cultural center. 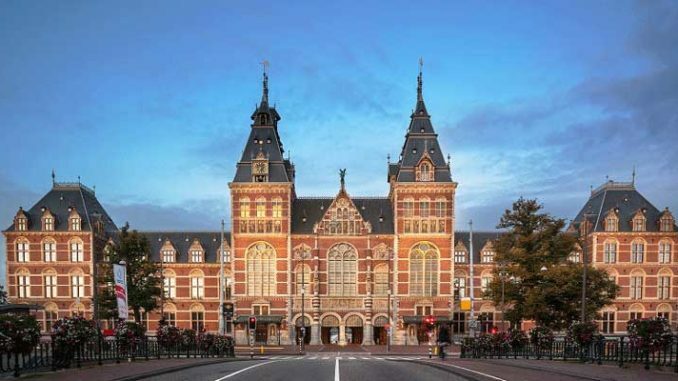 In addition, the city is famous for its historic homes, laid out in a pattern of concentric segments in the shape of a fan and built on piles driven through an upper layer of mud into the firm, sandy bottom up to 18 meters below. 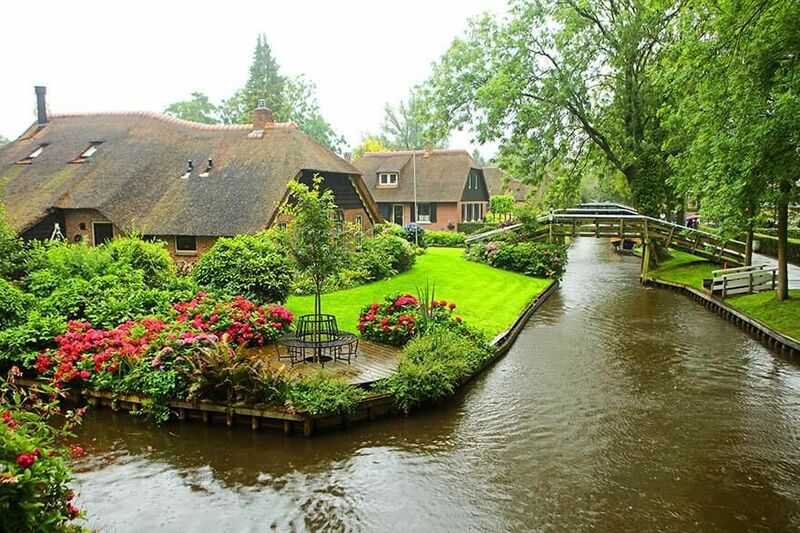 All told, some 6,750 buildings dating from the 16th to 18th centuries are crowded into an area of 2,000 acres, dissected by 160 canals (grachten), themselves home to numerous houseboats. 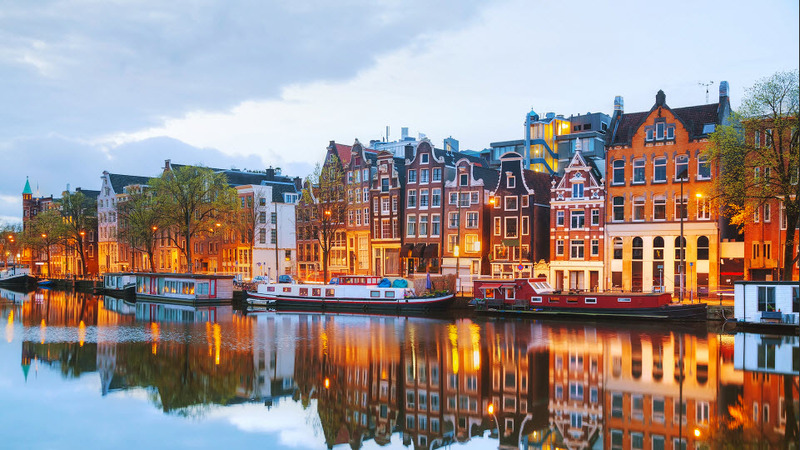 Many picturesque bridges link the city's 90 islands, eight of them old wooden bascule bridges, including the Magere Brug (Mager Bridge), one of the city's most frequently photographed. Amsterdam's main attractions, including its historic canals, the Rijksmuseum, the Van Gogh Museum, the Stedelijk Museum, Royal Palace, Hermitage Amsterdam, West Church, the Anne Frank House, Rembrandt House Museum, Dam Square, the Amsterdam Museum, Maritime Museum, Vondelpark, Bloemenmarkt, Canals of Amsterdam, red-light district, Port of Amsterdam, and its many cannabis coffee shops draw more than 5 million international visitors annually It is also the world's most multicultural city with at least 177 nationalities represented.